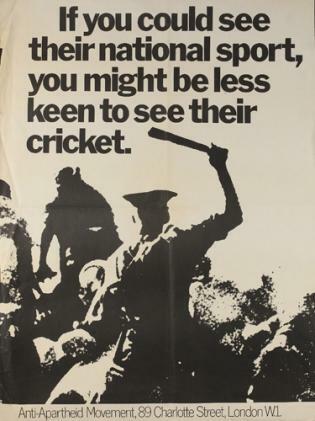 Anti-apartheid poster calling for sports boycott of South Africa. be less keen to see their cricket"
Israel has worked hard to defeat the purpose of the Freedom Flotilla that sought to break the four-year-old Israeli stranglehold on 1.5 million suffering Palestinians in Gaza. Despite international public outrage, Israeli policy, endorsed by the US, is tantamount to tightening the Gaza siege by intercepting all humanitarian aid shipments to it in international waters and escorting them under military threat to the Israeli seaport of Ashdod. That is what happened again last week with the cargo ship Rachel Corrie that was late in joining the first humanitarian aid flotilla. Israeli commandos attacked the Freedom Flotilla on 31 May, killing nine peace activists and wounding dozens. Ignoring international condemnation, Israel has asserted itself as a warrior state bent on the policy of settler- colonialism that keeps the Palestinian people under siege and gradually hems them in by seizing their territory to build new settlements. By supporting Israel's position on the aid flotilla, US President Barack Obama has tendered to a suspicious American Jewish community and pro-Israeli lobbyists his credentials for a second term in 2012. Obama has betrayed the Arab and Muslim people whom he had addressed with a promising message from Cairo one year ago. Both Israel and the US have worked together to take the wind out of the sails of indignant international activists supporting the rights of the people of Palestine. After 43 years of the acquisition of Palestinian and Arab territories by force, and 62 years after casting indigenous Palestinians out of their homeland, successive Israeli governments and leaders have demonstrated no political will to reach a just and lasting peaceful settlement with the Palestinian people. If dozens of UN resolutions and peace initiatives have borne no fruit, it is time to initiate a new strategy by taking a leaf from the history book of the anti-apartheid movement that forced South Africa to abandon its racist white minority regime and establish majority rule. International boycott and isolation is now the key to force Israel into compliance with international law. The US-led Western alliance that dominates the international scene has failed the Palestinian people. Since 1949, the UN Security Council has issued 79 binding resolutions on Israel that the latter has confidently spurned, banking on the blind support of the US. The inordinate influence of the American Jewish minority has distorted the foreign policy priorities of consecutive US. administrations since the time of Richard Nixon. The Palestinians have fared no better with the ruling Arab autocracies which, under the US thumb, have done little more than throw rhetorical resolutions or money at the Palestinian problem, ending up fighting among themselves. Fraternal Palestinian infighting has also weakened the Palestinian cause and gave Israel reason to carry out its territorial expansion policy more aggressively. The Palestinian Authority (PA), which rules the West Bank, is corrupt to the core, with scandalous cases of some of its senior officials siphoning off donor funds to private accounts. It is a make-believe government of a make- believe state with a make-believe president entirely in the grip of Israel. The Palestinian liberation struggle was compromised by the 1993 Oslo Accords that gave Yasser Arafat and Mahmoud Abbas a pseudo-Palestinian entity with a semblance of autonomy before the Palestinian struggle earned sovereign status. International public opinion is misled about the realities of the Palestinian people's struggle against injustice and the Israeli occupation by a Zionist- controlled or intimidated media, or by manipulation of the threat of anti-Semitism. The Palestinian people have been betrayed by everyone, including their own kin. 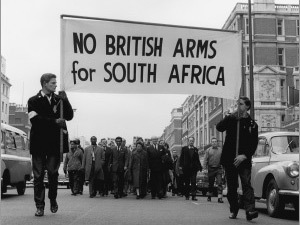 By comparison, the international anti-apartheid campaign started in 1959 under more unfavourable circumstances. South Africa under the apartheid regime enjoyed the political support of the Western alliance in an environment of anti-Communist policy and booming trade and investment relations. At home, the white minority government in Pretoria introduced a draconian system of classifying all non- whites into racial categories, with each individual issued an ID card defining his racial origin, what he or she is entitled to, the places they are allowed in, the school system they are admitted to, the neighbourhoods they can reside in, and the work and pay they can get. No interracial marriage was allowed. 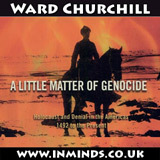 It seemed like a hopeless situation, despite the fact that it was brought before the UN as early as 1946. However, it was not governmental action or policies that led the way to building the anti-apartheid movement. It was individual activists, non-governmental organisations, intellectuals, trade unionists, academics and students who built and enhanced the movement. It started as a boycott of South Africa that developed into an international anti- apartheid campaign after the Sharpeville massacre of 1960. The movement started as a campaign with three objectives: boycott of South African goods, support for the liberation struggle against the apartheid regime, and a wider appeal to a better informed international public, all through voluntary work. As a matter of fact, the British government and the US administration were the main obstacle to the campaign, refusing to recognise or cooperate with it. This was not much different from the recent action by Norwegian dockworkers that refused to offload the cargo of Israeli ships in Norwegian ports as a token protest against the Israeli attack on the Freedom Flotilla. Nor is it different from British scientists cancelling educational seminars designed to promote education in Israeli universities in the aftermath of the brutal attack on Gaza in 2008-09. As opposed to the lavish Palestinian Authority that now receives more than $1.2 billion annually in donated Western and Arab funds to maintain the appearance and trappings of an independent and sovereign state, the South African boycott/anti-apartheid movement started in 1959 with a budget of $300,000, reportedly donated by the former Soviet Union. The African National Congress (ANC) never abandoned the struggle, at home and abroad, to expose the racist policies of apartheid South Africa and refused the temptation to establish a government in exile. It maintained its status as a national liberation movement until the apartheid regime was abolished and national elections were held in 1994 which brought Nelson Mandela to power as the first elected president of a majority ruled South Africa, and not by a summit of compromising heads of state. The struggle gathered momentum and forced the apartheid regime's government to withdraw from the Commonwealth, to be expelled from the Olympic games, and to face a global campaign of divestment that eventually brought the vibrant South African economy to its knees. Recognising the variables between the anti-apartheid struggle and the Palestinian national liberation movement that went through more than 60 years of trials, tribulations and Arab manipulation, the serious observer cannot fail to admit that the Palestinian cause has to go back to the drawing board. Neither the US nor the European Union's governments, much less client Arab states and the PA will lead the Palestinian people to gaining a fraction of their rights. Israel's ultimate objective is to slowly and patiently decimate the Palestinian people and reduce their status to an apartheid- like South African Bantustan. The Palestinians have to revive their liberation struggle and build a coalition of a worldwide partnership with the same objectives of launching an international boycott and divestment in Israel movement, making the world public aware of Israeli butchery of the Palestinian people, of Israeli theft of Palestinian territory and of imposing a blockade against the Palestinians. 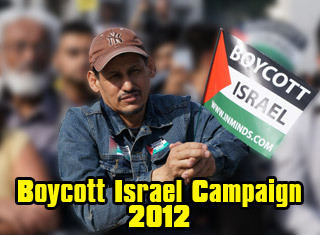 A campaign should work on the kinship of Israeli policy and practices to those of the defunct apartheid regime. It should be a people's movement that could build on and expound Israeli victimisation of the Palestinian people. There have been so many missed opportunities to bring the facts of Israeli occupation, repression, atrocities and denial of the Palestinian people's rights to the hearts and minds of millions of activists and average individuals around the world who vote governments in and out of power. The anti- apartheid movement succeeded in making apartheid an election issue in the UK in 1964. By comparison, a public opinion poll published by the International Herald Tribune in October 2003 reported a sample majority of 7,500 nationals in 15 European countries found that Israel represented a threat to regional and international peace, ahead of North Korea, Iran and Afghanistan. In the Netherlands, generally considered a pro-Israeli constituency, 72 per cent of the population thought same. After the 2008-09 Gaza invasion and attack on the Freedom Flotilla, sporadic resentment against Israeli actions appeared in Europe and soon fizzled out for lack of a follow up strategy. No one can afford to underestimate the power of the Israeli lobby that shapes political life in the US and controls the US Congress. However, like the anti-apartheid campaign of 50 years ago, it should be considered as a challenge, not an insurmountable obstacle. * The writer is former Al-Ahram correspondent in Washington DC. He also served as director of the United Nations Radio and Television in New York.